LogHomeLinks.com has been online since 1999 helping log home enthusiasts realize their dream. Begin your home building journey with our new, searchable log home plans database where you will be able to find your dream house plan. 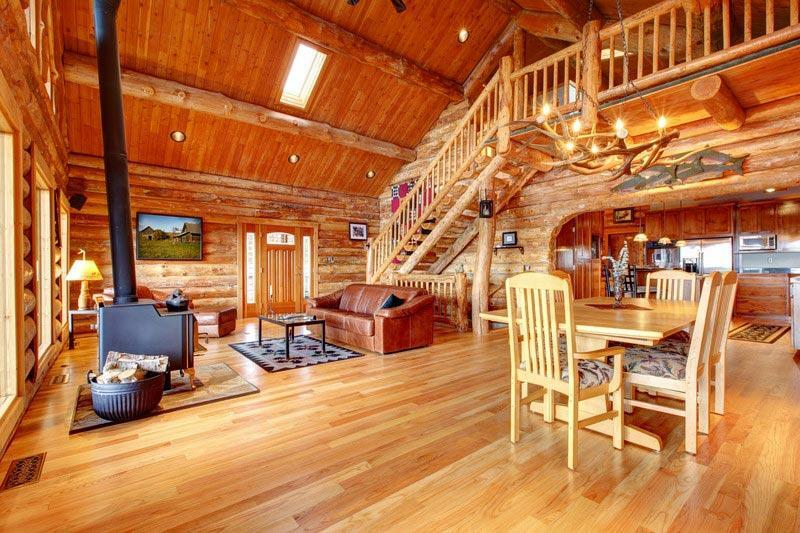 The informative articles section will help you learn what you need to know about the process of building or buying log homes and log cabins. When you are ready to search for a builder, browse through our extensive listings of home builders, manufacturers, and dealers from all over the US and Canada. We also have a large section dedicated to rustic furniture sites to help you get the look you want inside your home. There are many other areas on our website where you can find everything you need to build and furnish your dream home. Jim Barna Log & Timber Homes – One of the largest manufacturers in America and one of the most complete packages in the industry. Cedar Homes of the Rockies – Custom cedar home packages and kits, timber products and construction services. Find Home Building Contractors – Verified and prescreened U.S. licensed contractors for residential projects including custom log home building and log cabins. Getting estimates with this service is free, easy, quick and without any contracting obligation! Assembling shell, Staining logs & framing roof, Windows wiring & doors, Chinking logs & framing floors, Framing slip-jointed walls, Installing “log style” sauna, Setting tile & hanging cabinets, Interior chinking & kitchen finishes, Maintenance & finishes for log homes, log cabins and more. Click here to receive a free woodworking products catalog – Includes log furniture building kits, log furniture tools & more. Log Home Magazines – Order great magazines online. 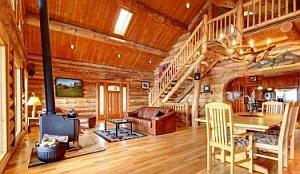 Including, Country’s Best Log Cabins, Log Home Living, and Timber Frame Homes Magazine. Log Home Books – We have many great books featured: Log Home Secrets of Success, How to Be Your Own Contractor and Save Thousands on Your New House or Renovation While Keeping Your Day Job, Build Your Own Low-Cost Home, Small Log Homes, The Complete Guide to Log Homes, Crafting Log Homes Solar Style, and Cabin Fever.